Thank you for visiting us at the Sugarland Home and Garden Show! We thank everyone who stopped by the Sugarland Home and Garden Show this past weekend! If you missed us, we’ll be at the next year’s 2020 10th annual Home and Garden Show. For more information, please visit the Sugarland Home and Garden Website. PCW has been on the move working hard to help those affected by Hurricane Harvey. We have used our truck and trailer to help move furniture and belongings, repaired furniture, and helped create new custom cabinetry for families that were flooded. 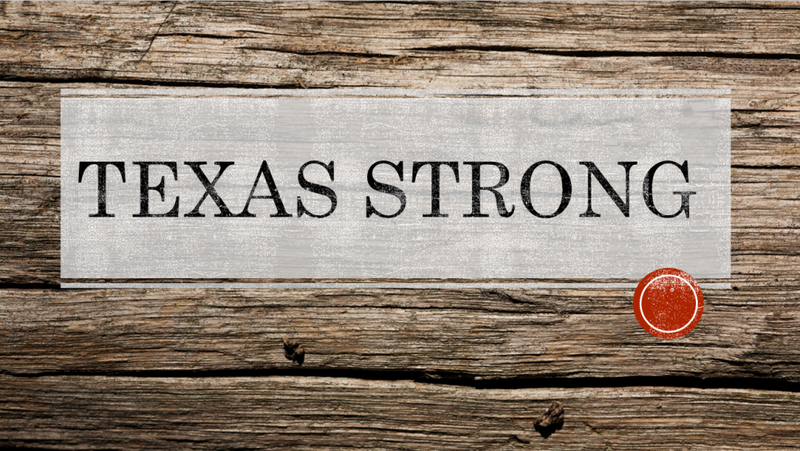 We are Texas Strong! Coming to you live at the Sugarland Home and Garden Show! 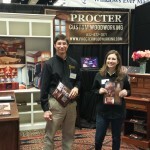 Come and meet Steve at Procter Custom Woodworking at booth 413! We’ll be here til 6pm! Meet Steve at the Sugarland Home and Garden Show! It’s that time of year again, where you get the chance to meet Steve Procter himself to ask your questions and get your answers about your home improvement needs. Please join us on January 30th and 31st at the Stafford Centre and look for Steve at his booth. For more information, ticket prices, and a list of exhibitors, please visit the Sugarland Home and Garden Website. 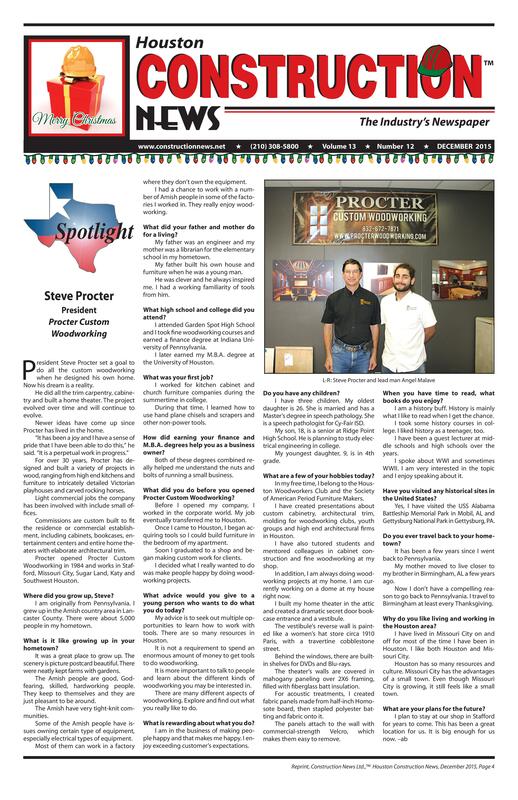 Steve Procter was recently interviewed by the Houston Construction News team. What a great way to get to know your custom woodworking builder, designer, and consult better!